Rockstar Games on Friday announced a new expansion for GTA Online, the multiplayer component of the wildly successful Grand Theft Auto V. Fans of the game’s online capers will be happy to learn that the new DLC will be one of the biggest and deepest updates to date. 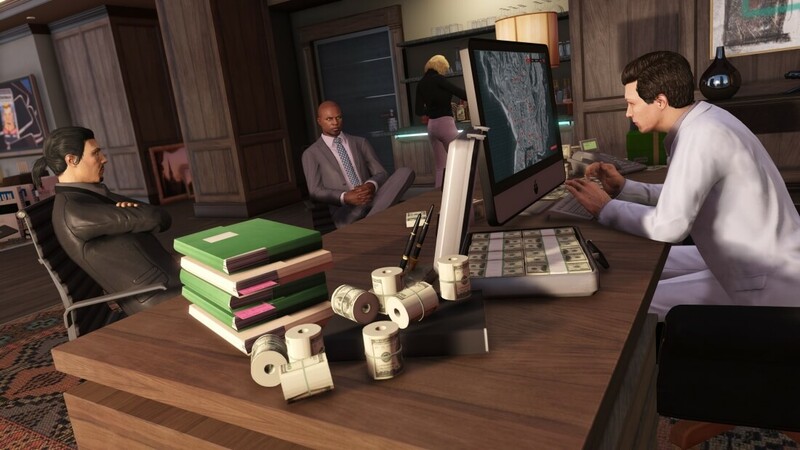 As the name suggests, Further Adventures in Finance and Felony tasks players with continuing their mission to become the ultimate crime boss of Los Santos and Blaine County. Specifically, the new DLC bumps players up the corporate ladder as they work to expand their organization and become the CEO of their own criminal enterprise. New perks include a high-rise headquarters and a non-descript warehouse, presumably to store all of your stolen merchandise. The update promises all-new gameplay with plenty of new vehicles, exciting features and more. Rockstar has come under fire as of late for essentially turning its back on the single-player campaign to focus on multiplayer expansions like this. As we learned last month, Rockstar’s approach on this subject is entirely strategic as the developer is making a killing off of DLC - to the tune of at least $500 million thus far. With that much cash coming in, it’s hard to fault the company for sticking with its cash cow. Rockstar promises to provide more information next week when the official trailer drops. The expansion itself arrives on June 7, we’re told.